What vitamins are the salads? 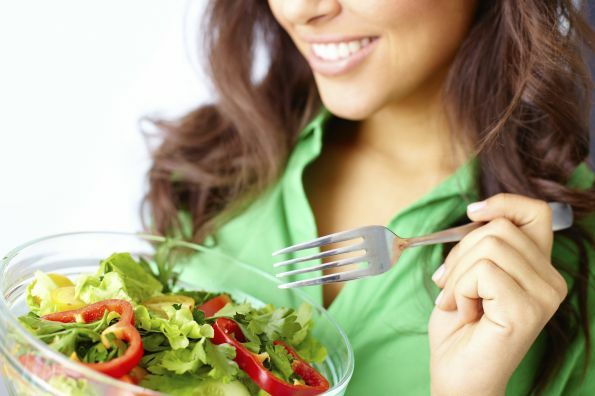 Do you usually eat salads quite often throughout the week ? we have one of the healthiest choices to accompany our mains thanks to the wide variety of vitamins containing in its interior, did you want to know? An explosion of flavors, colors and nutrients is what we find in a bowl of salad, so it becomes one of the delicacies of obligatory presence in our daily diet. However, besides the many minerals that can bring us each ingredient, either in the form of lettuce, endive, carrots, cucumber or tomato, this time we will give special attention to the vitamin explosion that will bring us energy required to run each day and face the many obstacles that life imposes on us. From this type of nutrients that can be found in salads, can emphasize its vitamin C by both cucumber and lettuce and even tomatoes. Also known as ascorbic acid, these vitamins are necessary for the formation of ligaments, tendons and other tissues essential for our body. Similarly, vitamin C help to strengthen the defenses of our body, to improve the functioning of our immune system and make us more resilient to the threat of external agents. Furthermore, its antioxidant effect, help us fight the presence of free radicals, which cause premature aging of our cells. Other vitamins, particularly from cucumber, is belonging to Group K, essential for blood clotting and to treat skin problems like rosacea, bruises, scars, burns and stretch marks. In fact, after the completion of surgery, this vitamin is recommended to reduce swelling and speed healing of the skin. However, one of the really essential for the care of the skin surface nutrient is found in vitamin A, which can be found in tomatoes and carrots. Another effect is the improvement of our visual health, helping us prevent various alterations to eye level as cataracts, blindness, glaucoma or loss of vision. In the latter we can not forget folic acid or vitamin B9, ideal for preventing birth defects and help women enjoy a healthy pregnancy.